The brightest names in spa and beauty were recognised at this year’s Professional Beauty Regional Awards held on the 21st October 2018, with Dundonald’s Urban Beauty & Skincare, being named as Northern Ireland Salon of the Year. Awards were handed out to the most outstanding spas and salons in the country over a black-tie dinner held at the renowned Principal Hotel in Manchester. Over 400 guests attending the evening event, which was hosted by comedian Tom Ward. Now in their third year, the awards are divided into three categories: spa, boutique salon (for businesses with three treatment rooms or fewer), and large salon (four treatment rooms or more). With 21 awards handed out on the night, the Professional Beauty Regional Awards celebrate those beauty providers who go above and beyond the call of duty in terms of professionalism, skill and customer service within their region. The beauty and spa industry is developing into an increasingly powerful one. UK consumers spent £7.6 billion on professional beauty treatments last year, and when you add retail sales into that figure, the beauty and spa industry is among the most important to the British economy today. Congratulations to all of tonight’s winners, whose exceptional customer care and treatment delivery have an enormous impact, not only on the way their clients look, but how they feel, both physically and mentally. Urban Beauty & Skincare collected the title of Northern Ireland Salon of the Year, beating off stiff competition from others in the region. 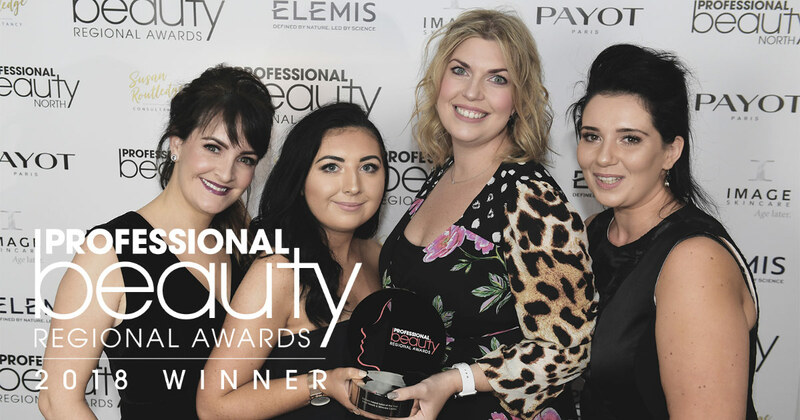 As winners of the Professional Beauty Regional Awards, they will now be put forwards for the National Awards which take place at the end of February 2019. It is such an amazing feeling to win. I would like to thank the girls who work for me, including the two who couldn't be here today. I'd also like to thank my family, they have been such a massive support and I can't believe we got it. Professional Beauty is just such a professional body, that this is just incredible for us to get. We're just a small salon in Northern Ireland and to get this is just insane.